Stop for nothing with Wiley X Safety Glasses. Bugs, weather, changing visibility. With Wiley X you will see what you've been missing on the road! Wiley X Safety Glasses were designed by experts that know for you that life begins on the road. One of the first things to consider after purchasing a motorcycle helmet for safety, is eye protection. Motorcycle safety glasses can be stylish but are also functional in keeping wind, rain, sun and any foreign objects from getting in your eyes. Small debris such as dust, pebbles and even insects can blur a riders vision and may lead to an injury. Wiley X safety glasses come in a variety of styles and tint options. The style includes traditional, wrap around, UV coated and even prescription. Tint options include bronze, smoke, green, gray and silver lenses. The right tint lens will help riders see better under certain conditions. Wiley X also offer motorcycle safety goggles. They fit snug over the eyes and around the head with the adjustable strap to fit any head size. The strap also insures the goggles will stay on your head. Wiley X goggles are popular for riding enthusiasts who need that extra support during strenuous riding. Make sure you safety glasses are fastened tightly so they don't blow off. Tinted safety glasses should not be worn at night. Prescription glasses are required to be worn in accordance with DMV regulation. Want to see more? 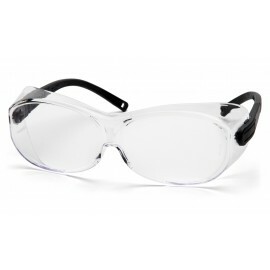 Check out other safety glasses and goggles we have to offer.